The great thing is, all these dog and puppy behavior problems can be fixed! You CAN have a well behaved dog or puppy! A well-behaved dog can be included in all your family activities, sit calmly at the Starbucks with you, go hiking in the mountains, walk past other dogs without freaking out, and much, much more! "Here is a small update on how Elsa has been doing after we took her to Amy.....The change in her attitude was insane. She became so much obedient inside the house. She would calm down quickly if we ask her to; she would sit until we tell her to get up.... "
Hi, I'm Amy, owner and dog head trainer! 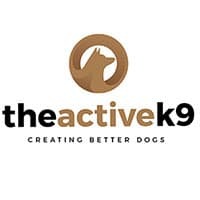 I started training dogs at The Active K9 as a way to help struggling owners and their families. Our dogs are such an important part of our lives, and when they don't listen or behave badly it is frustrating! At TAK9, I train the dogs and the owners, because it's not just about the dog's obedience -- it's also about the guidance that the owners use to help their dog to be successful. Teamwork between trainer, owner, and dog allows us to have great results and happy customers! I am a member of the IACP and an authorized dealer for E-Collar Technologies. For more information about me, check out our About Us page! Why Do I Train Dogs and Puppies? I started out like many people with an out-of-control dog who made my life really difficult. She was destructive, barked at everything, and wouldn't listen at all. I couldn't live with her that way, and I wouldn't get rid of her, so I had to learn how to train dogs. Now, I'm able to help you get your dog to be a happy, obedient dog, so he or she can be a fun and enjoyable part of your family! Take a look at the video below to see more about me, what I do, and how things work at The Active K9! It's my job to teach your dog basic obedience, on and off leash, so that the dog knows what to do when it's given a command. I also want to create a calmer state-of-mind in the dog. It's much easier for a dog to process information (commands) in a calm, relaxed mental state. This is the key to helping you and your dog have that great life. And, a calm dog just doesn't get into trouble like an excited dog! What's amazing is that with training, giving clear guidance and yes/no information to the dog, the dog learns to make the right choices on his own. And it becomes less about the owner managing the dog's behavior, and more about the dog being accountable to manage his own behavior. You CAN have a calm, respectful, accountable dog that will make your life so much more enjoyable. You CAN have a dog that you enjoy being around and doing things with! "She [Wynnie] is doing great. We are working hard to be consistent with her. Our neighbors were impressed with her walking and sitting when we stopped." Take a look below at some of our Before and After videos to see the transformations that dogs make in our programs. These dogs go from pulling on the leash, being distracted and reactive, to calm, polite dogs that are fun to work and play with!